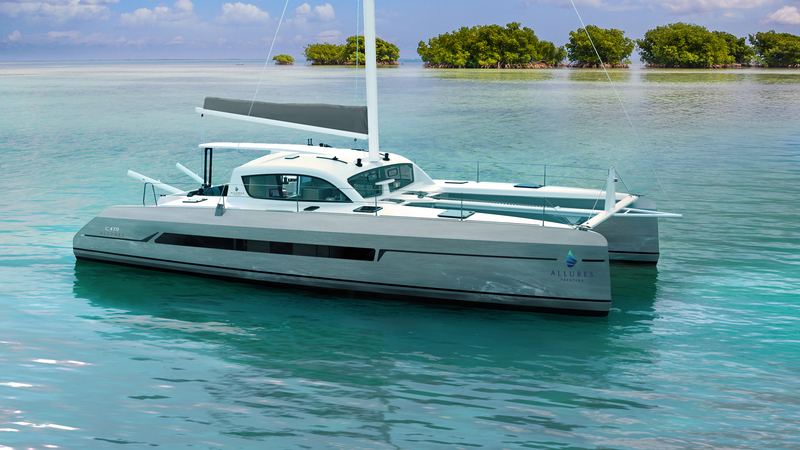 With aluminium hulls and composite deck, the Allures C47.9 carries forward the yard’s innovative monohull solutions, with the addition of a C for Cat. 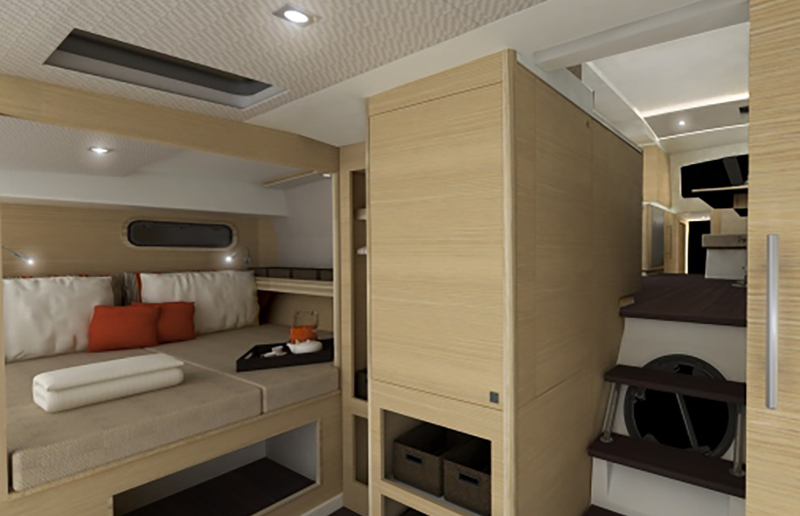 The result is a totally new, robust, elegant and powerful take on the catamaran. For the past 15 years, Allures Yachting offers the best of both worlds, using a mixed construction technique that combines an aluminium hull with a composite deck. 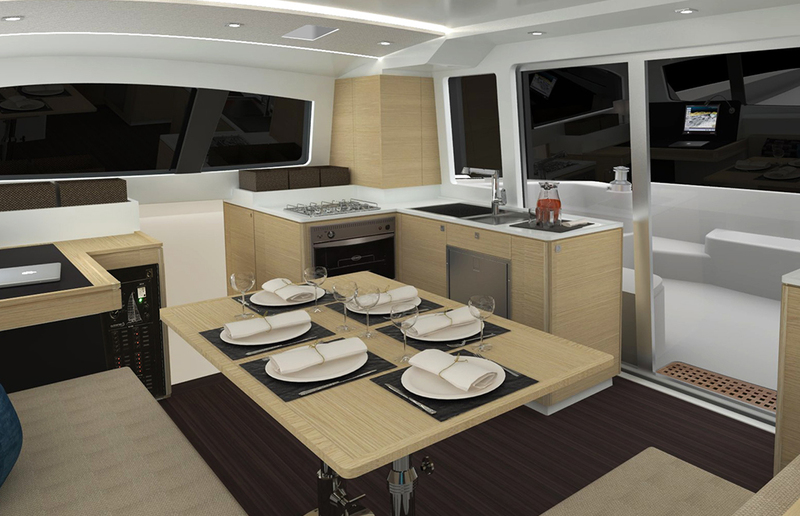 There are many advantages to this solution: a yacht that is strong, but light, especially above the deck line, a hugely comfortable cockpit, and great freedom of cockpit and coachroof design. 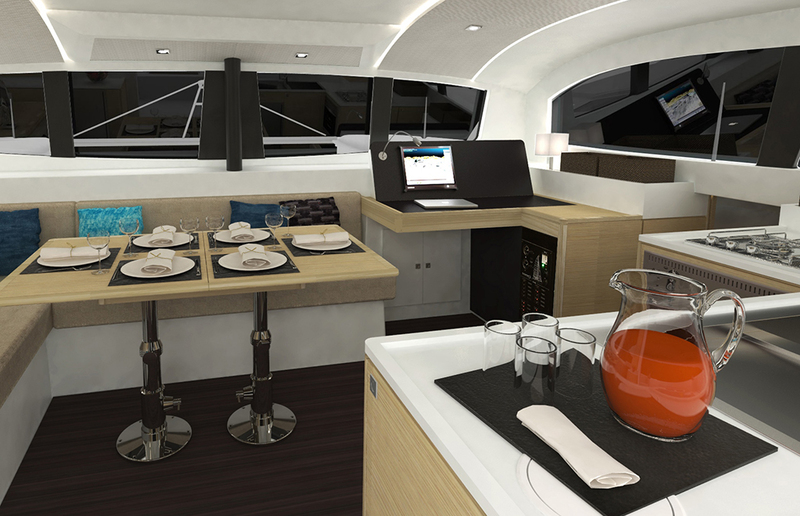 For its first catamaran, the new C47.9, Allures yachting has, naturally, retained this construction technique, which it has refined and perfected. The yard has also drawn on the expertise of its partner Outremer Yachting, since the deck and fittings draw their inspiration directly from the Outremer 45. Add in the talents of naval architects Christophe Barreau and Frédéric Neuman, who successfully exploited the absence of hull moulding constraints to gain an extra three feet in length and deliver optimum performance. And thanks to its shallow draft, the Allures C 47.9 will be able to take advantage of the best protected moorings and take the ground in complete safety. The C47.9 is a true Allures, twice over!